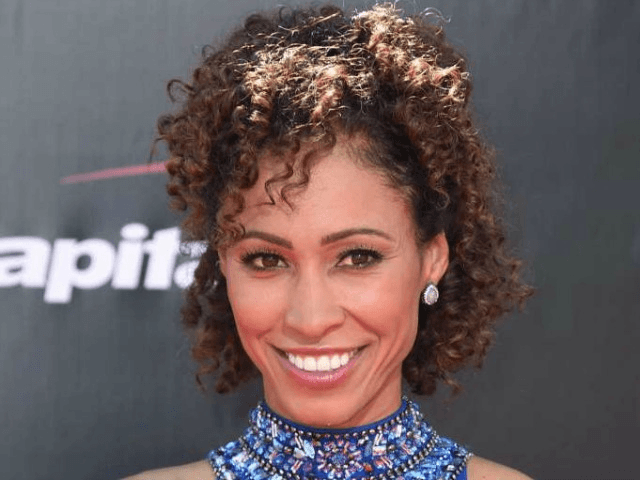 The disruptions caused by protesters at Los Angeles International airport caused ESPN host Sage Steele to miss a flight. Now Steele is under attack for jumping to Instagram to rail about the protests that caused her such inconvenience. 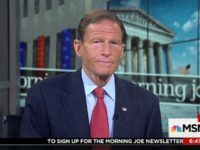 On Friday, President Trump issued his temporary moratorium on immigration from a list of seven countries the Obama administration had flagged as “countries of concern” back in 2015. Almost immediately liberal activists flooded into several big city airports across the country to protest the order. One of those groups of disruptors descended upon LAX just as NBA Countdown host Steele was attempting to catch a flight, the Philadelphia Inquirer reported. Steele complained that the protesters caused her to walk nearly two miles in order to catch a flight to Houston and delayed her long enough for her to miss the flight. 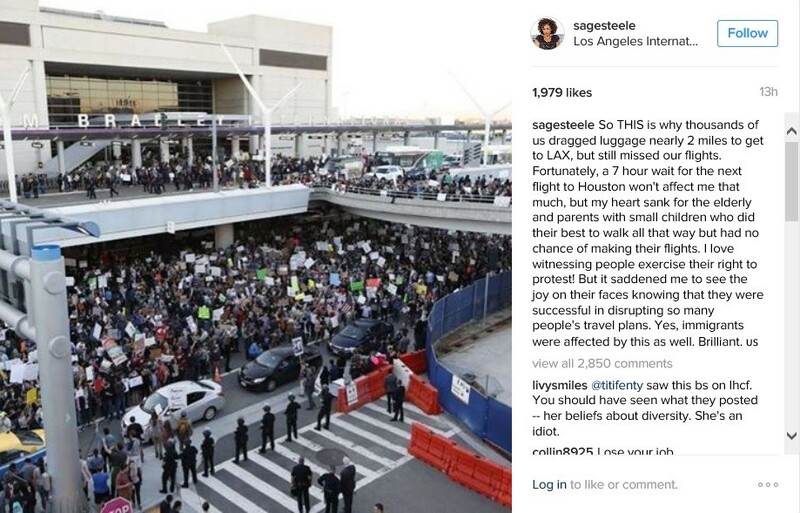 Steele felt exasperated enough to jump on her Instagram account and decry the protesters for causing “elderly and parents with small children” to have to walk long distances to reach flights. “I love witnessing people exercise their right to protest! But it saddened me to see the joy on their faces knowing that they were successful in disrupting so many people’s travel plans,” she added. But not long after posting her complaint, some of her sports reporter colleagues began to slam her for attacking the protesters. On Twitter, Sports Illustrated writer Michael Silver slapped Steele, saying the protesters were “right” for doing what they did. Steele replied that Silver didn’t actually read what she wrote. Julie Stewart-Binks, another wealthy, white reporter for ESPN, also chided Steele for her Instagram post. Steele again replied that Stewart-Binks must have missed the part where she said she supports people protesting for their political ideals and told Stewart-Binks to re-read her Instagam post. The ESPNer also slammed African Americans for attacking other African Americans for having opinions that run contrary to the left-wing wisdom.